Whitney T. Carlisle joined O’Keefe Lyons & Hynes in 2018 following a lengthy career as the principal in the law firm of McCracken Walsh, Carlisle and de LaVan. He has extensive experience in the area of real estate taxation, with an emphasis on representing clients in tax appeal matters throughout the Chicagoland area. 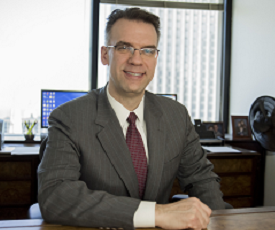 He previously served as a supervising attorney in the Tax Unit of the Cook County State’s Attorney’s Office. Mr. Carlisle has spoken on a variety of property tax issues before the Illinois State Bar Association (ISBA), the International Association of Assessing Officials (IAAO), and the Institute for Professionals in Taxation (IPT). He is a member of the ISBA State & Local Tax Committee and serves on their Section Council, currently as Vice-Chairman. He is also a board member of the Civic Federation in Chicago and serves as Co-Chairman of their Property Tax Committee.